I love Afghan food. Hey, it probably has something to do with the meat - there's lots of it! However, that becomes a bit of a problem for me since there are not many Afghan restaurants in town. 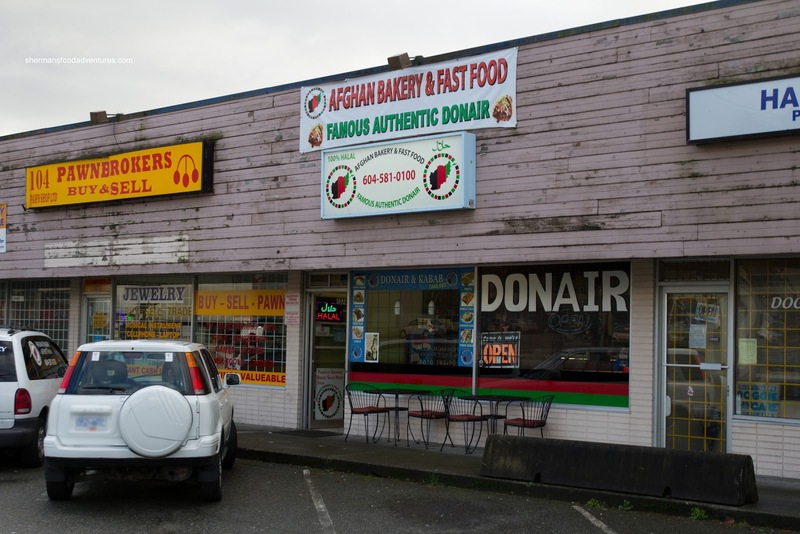 In fact, there are less than 5 actual Afghan restaurants in the GVRD period. Too bad I don't live in Fremont, California because it houses the largest Afghan population in the North America. Mind you, I'd miss the rain in Vancouver... uh... So I've already been to Afghan Chopan (another location opening up in Downtown), Afghan Horsemen and the defunct Khyber Pass. All were not bad taking into account the locations and lack of competition. 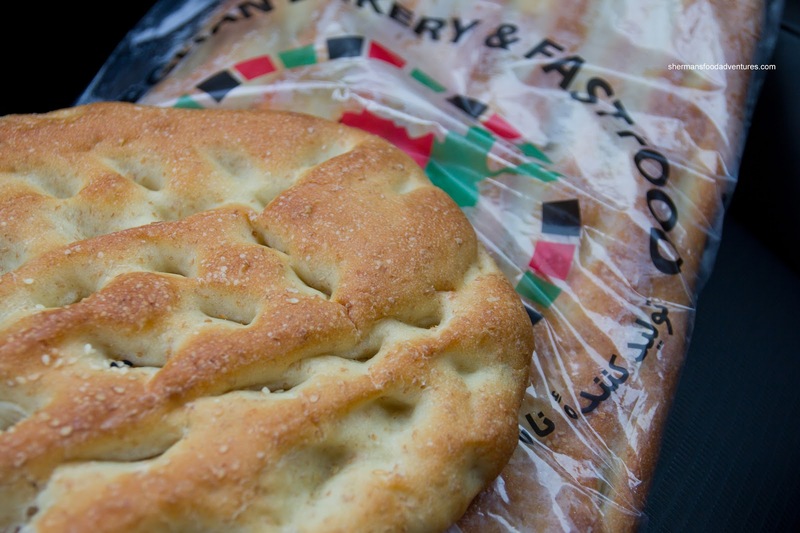 There was one more that I once tried visiting (Afghan Bakery & Fast Food), but got distracted by another new restaurant nearby. This little non-descript place on 104th in Whalley apparently serves up full-blown Afghan dishes. With only enough seating for one party, it is mainly a take out joint. So I finally made it out there again where I decided to get a couple of dishes to go including the Kabuli Palaw, It looked very appetizing with plump raisins, glistening carrots and rice. 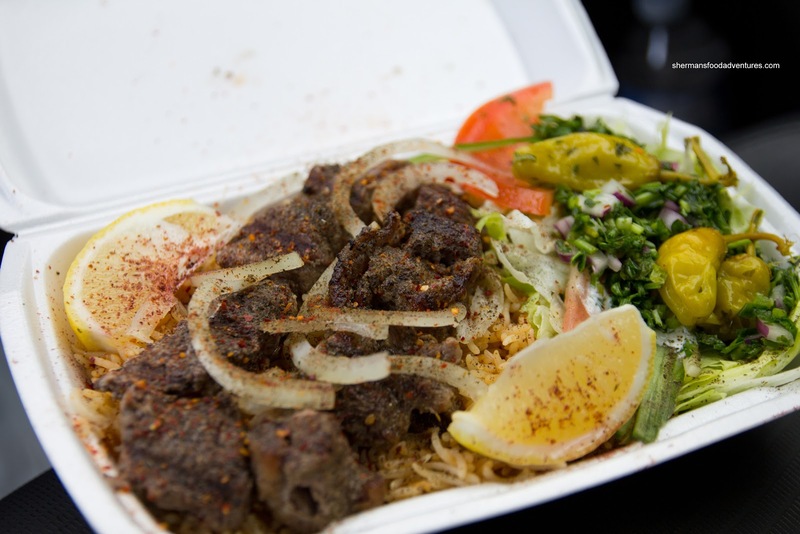 Hidden within the firm long grain rice were morsels of fatty lamb. 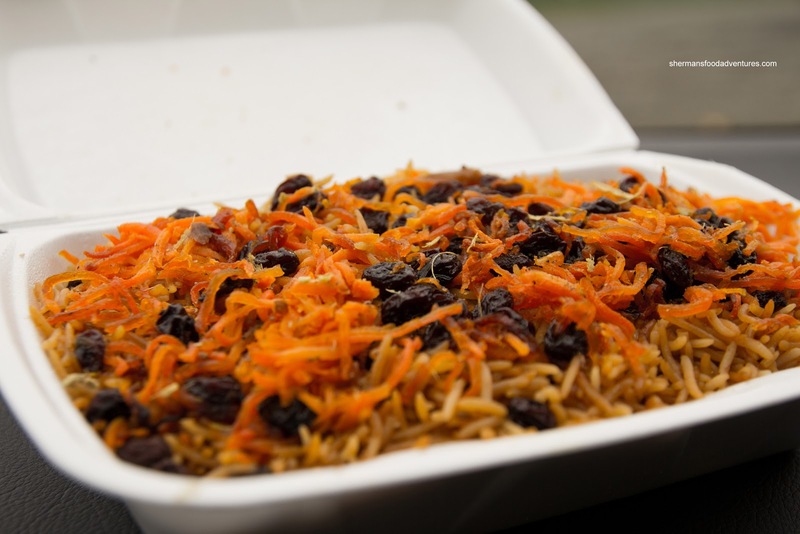 The rice itself wasn't too sweet despite the carrots and raisins. In fact, it was quite mild except for the lamb flavour. The pieces of lamb were tender and it was like striking gold each time I found one. Continuing on with even more lamb, the Lamb Shank for $11.00 was a steal since it could easily be plated at a sit-down restaurant where it would be priced much higher. The lamb was relatively tender and moist (with a few drier spots). 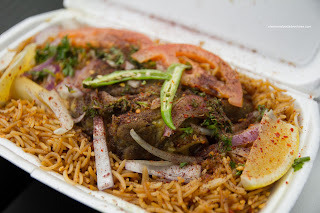 The addition of hot peppers really amped the flavours of both the lamb and the rice palaw. 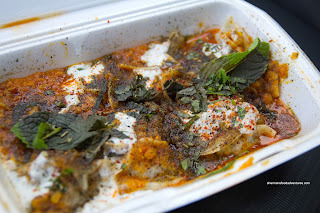 A sprinkle of spices (appeared to be coriander and cardamom) on top really added to the flavour profile of the dish.